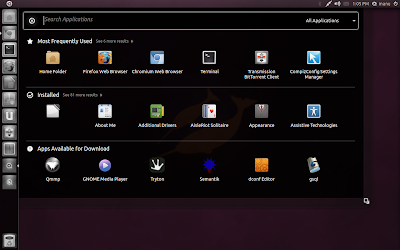 Ubuntu 11.04 'Natty Narwhal' will be released in another 8 days or so. 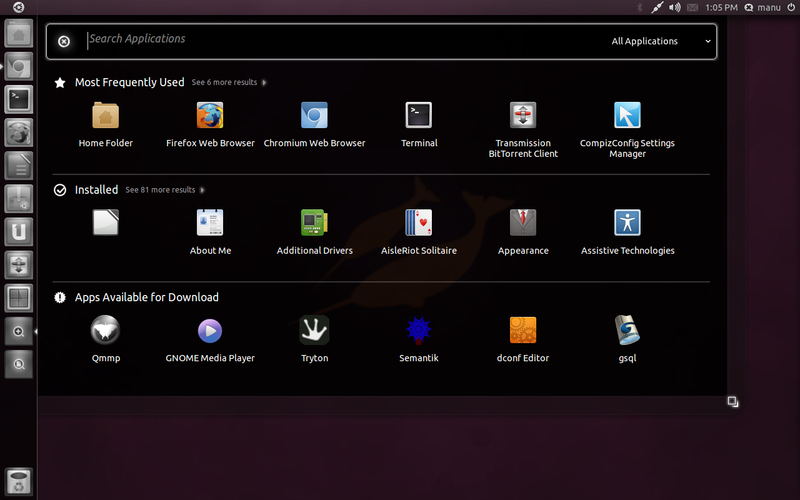 We have followed the development of Ubuntu 11.04 very closely. In fact, we have reviewed all the previous developmental releases of Ubuntu 11.04 Natty Narwhal so far including Alpha 1, Alpha 2, Alpha 3 and Beta 1 releases. In my opinion, the overall Ubuntu 11.04 experience is so much better and involving if you know some essential Ubuntu Unity keyboard and Mouse shortcuts. So here are a bunch of very basic yet useful Ubuntu 11.04(Unity) keyboard shortcuts. Alt + F1 - Put keyboard focus on the Launcher, use arrow keys to navigate, Enter launches the application, Right arrow exposes the quicklists if an application has them. Super + A - Opens up application window from launcher. Super + F - Opens up files and folders window from launcher. Both these shortcuts can be viewed by simply holding the Super Key as well. Super + W - Spread mode, zoom out on all windows in all workspaces. Super + D - Minimize all windows(acts as Show Desktop). Hitting it again restores them. Super + T - Opens trash can. Super + S - Expo mode (for everything), zooms out on all the workspaces and let's you manage windows. Ctrl + Alt + L - Lock Screen. Ctrl + Alt + Left/Right/Up/Down - Move to new workspace. Ctrl + Alt + Shift + Left/Right/Up/Down - Place window to a new workspace. F10 - Open the first menu on top panel, use arrows keys to browse across the menus. Moving the cursor to top-left corner(near Ubuntu icon) will launch Unity dock as well. By Scrolling the mouse wheel while over the Sound icon on top panel helps you increase or decrease system volume. Middle click on an application's launcher icon - Open a new instance of the application in a new window. Very useful at times. In laptops with touchpads, hitting left/right click buttons together is akin to middle click. Restore/Unmaximize - Dragging the top panel down OR double clicking on the top panel will do. Tiling - Dragging a Window to the left/right border will auto tile it to that side of the screen. One of the highlights of new Unity experience. Alt + F10 - Toggle between Maximize/Unmaximize current window. Alt + F9 - Minimize current window. Alt + Tab - Toggle between currently open windows. Alt + F4 - Closes current window. Alt + F7 - Moves the current window(both keyboard and mouse can be used). Hope you find the listing of important keyboard/mouse shortcuts for upcoming Ubuntu 11.04 Natty Narwhal(Unity) useful. Thanks to askubuntu for the list.